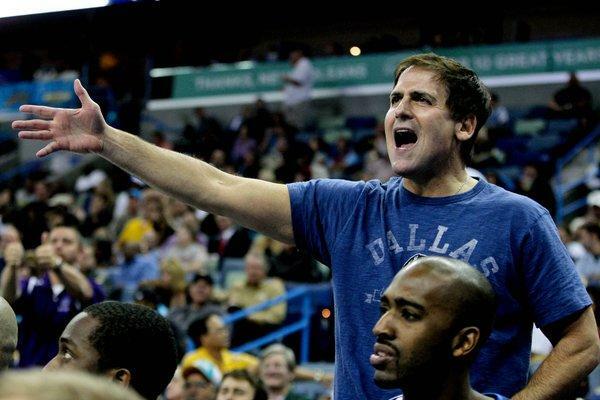 Mark Cuban is back to belittling Russell Westbrook. Maybe. If Cuban’s sentiment is that Westbrook isn’t as valuable as James Harden and LeBron James, that’s cool. I get it. I agree with him, even. And if he was simply trying to emphasize that Westbrook wasn’t on the same plane as Kevin Durant when he criticized his standing within the Association last spring, I get that. This is kind of a crazy thing to say when Westbrook’s one-man show is about to carry the Oklahoma City Thunder back to the playoffs mere months after they lost a top-three player in Durant. To say he’s not in the MVP mix implies he’s not even in the top five. And even if you weigh winning and efficiency more than anything else, you still have to put Westbrook and his triple-double average in the top five. That counts as being in the mix.